For decades, Yamaha has been known as a respected manufacturer of high quality guitars, and the models they offer are quite diverse. You'll find everything from steel-string dreadnoughts to nylon-string classical models. If you enjoy playing plugged, you'll be glad to know that Yamaha also offers electric guitars to fit any budget. Yamaha is a huge multinational conglomerate that manufactures everything from musical instruments to motorcycles to electronics. The company, based in Japan, got its start in 1887 when Torakusu Yamaha repaired a broken reed organ, then built a reed organ of his own. Ten years later, in 1897, Yamaha founded Nippon Gakki Co., Ltd. to build and sell musical instruments, and the company became Yamaha Corporation in 1960. In 1900, the company began manufacturing upright pianos for sale. The company started the Yamaha Music School in 1954 and began making electronic organs in 1959. Since Yamaha has been grounded in the business of making musical instruments since its inception, it continues to prioritize the availability of a wide range of quality instruments at multiple price points for customers to enjoy. 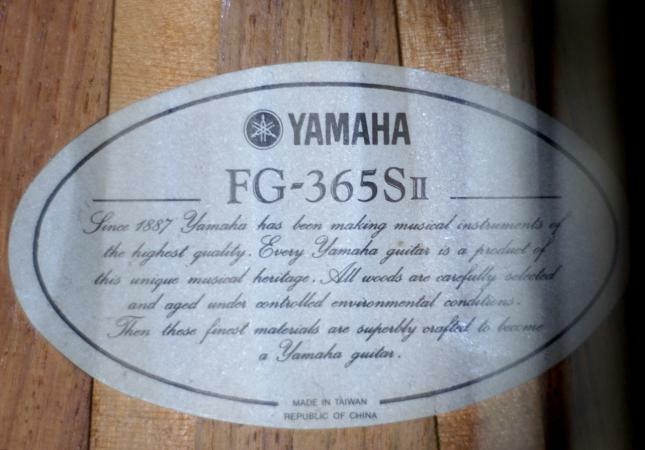 Yamaha entered the guitar market in the early 1940s and by the end of the decade, the company had built a factory exclusively for the manufacture of guitars. Yamaha guitars are celebrated for their high quality and excellent value while remaining affordable for all kinds of musicians, from beginners to professionals. Japanese Market - Yamaha's first guitars were classical, nylon-string models. In the 1950s and the early 1960s, these instruments were sold only in Japan. In the middle 1960s, Yamaha began making steel string guitars, including acoustic, electric, and bass guitars. American Market - In the middle 1960s, Americans responded to The Beatles and the British Invasion of pop and rock music by demanding guitars of all kinds, and a huge market opened up for Yamaha. The company exported their first classical guitars to America in 1966, followed by acoustic guitars in the late 1960s, and electric guitars in the early 1970s. Yamaha brought several innovations to the table, which contributed to the overall development of the guitar. These innovations enhanced the flexibility of the guitar by improving its construction and developing new technology and features. The Yamaha SG-2000 incorporated two important innovations that were spearheaded by Carlos Santana. Yamaha built Santana a custom model, and Santana came up with two major improvements. One of these was the sustain plate, a brass block built into the body of the guitar and joined to the bridge to enhance sustain. The other improvement, the T-Cross System, joined mahogany wings to the maple body, resulting in a sturdier solid-body construction. 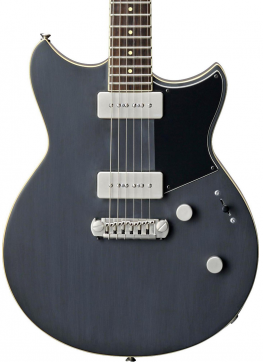 For their APX guitars, Yamaha developed a hexaphonic piezo pickup to deliver a distinctive pickup for each string on the guitar. The pickup had a system that allowed the guitarist to switch between a mono output or one of two stereo outputs to either send the lower and upper strings to different outputs or to send alternating strings to different outputs. In 2001, Yamaha introduced the Silent Guitar, one of its most creative innovations. Though the guitar has a full-sized neck, the rest of its construction is minimalist. It was designed for musicians to either plug headphones directly in for quiet practicing or for musicians in the studio to plug the guitar directly into a sound system. A number of well-known guitarists over the years have chosen Yamaha models, whether for performance, recording, or both. Country Joe McDonald played a Yamaha FG-150 at Woodstock in 1969. Bob Seger did most of his shows in the 1970s with a Yamaha FG-1500. Other artists who have preferred Yamahas include Rick Springfield, Richie Sambora, Bob Marley, John Denver, Paul Simon, Robben Ford, and Paul Barrere of Jethro Tull. Yamaha has a variety of quality guitars to offer, including acoustic, classical, and electric models. Some models are geared toward beginners while others are geared toward more advanced players. You'll find guitars all across the price point spectrum, as well. If you're looking for a jumbo-bodied acoustic guitar with a powerful sound, look no further than the LJ16. You'll find this guitar on Alternate Tone's list of the 10 best Yamaha acoustic guitars for 2017. Play Acoustic Guitar calls the LJ16 a "curvaceous beauty," both with regard to its appearance and its tone. The guitar costs around $800 and offers a sumptuous buffet of quality features. Construction and Appearance - The LJ16 has a solid Engelmann spruce top with a lovely natural finish and solid rosewood back and sides. To manufacture the guitar, Yamaha uses A. R. E. (Acoustic Resonance Enhancement), a technology of reforming tonewoods to improve their sound. The instrument has a 5-ply neck made of rosewood and mahogany, making it stronger and more stable. Playability and Tone - Whether you're into fingerpicking or you prefer a pick, you'll love the LJ16's smooth action, which is well-suited to either style. Due its size and tonewoods, you'll find that this model has a deep, resonant, balanced tone and excellent projection for performances. The curvy body makes the instrument easier to hold while you're playing it, especially in a sitting position. The FG830, one of Yamaha's best all-around acoustic guitars, is praised by Guitar Fella as an affordable guitar that "exceeds all expectations" considering its price range, which is around $300. While it's an outstanding entry-level instrument, it's also well-suited for all levels of guitar players, from beginners to intermediate guitarists to more advanced musicians. Construction and Appearance - This dreadnought guitar is a great bargain, featuring a solid sitka spruce top and rosewood laminate back and sides. The FG830 is a nice looking instrument with a glossy finish, an attractive soundhole design, and creamy edge binding. The FG830's bridge and fingerboard are also made of rosewood, and it offers die cast tuners and an adjustable truss rod. Playability and Tone - Music Radar calls the FG830 a "game changer" based on the incredible value it delivers for its price. Thanks to the high quality tonewoods used in its construction, the guitar has a well-defined, punchy tone that's both bright and roomy. It scores high on its playability quotient, too, because of its smooth, satin neck. If you're looking for an acoustic-electric guitar that's light and easy to play, you'll want to check out the Yamaha APX500III, which costs around $300. Guitar Fella lists the APX500III on his list of the top ten acoustic guitars for beginners, and Best Acoustic Guitar Guide praises the guitar for its excellent "value to money ratio." Construction and Appearance - The APX500III is a dreadnought-sized guitar with a single cutaway. The guitar's top is made of solid spruce while the sides and back are made of nato, a tonewood that is similar to mahogany. You can choose from several colors: natural finish, black, dusk sun red, vintage sunburst, or oriental blue burst. Onboard electronics consist of an under-saddle piezo pickup with a three-band pre-amp equalizer. Playability and Tone - The APX500III's cutaway makes it easy to access the top frets while playing. You will also enjoy the guitar's low action, and the instrument is particularly well-suited for fingerpicking. Unplugged, the APX500III tone is nicely balanced, with bright highs and crisp lows. The guitar has a full, resonant sound when plugged in, with a rich, deep low end. For classical guitarists, Music Radar highly recommends the nylon-string CG122MS, saying that Yamaha's focus on quality and detail makes the guitar look, sound, and feel like a more expensive model. While beginners will certainly appreciate this guitar, intermediate and advanced players who want a less pricey classical instrument will enjoy it, too. You can pick up one of these guitars for about $220. Construction and Appearance - The CG122MS is a full-sized classical model with a standard body. It features a solid Engelmann spruce top with laminated nato back and sides. Classical guitarists will love the CG122MS's two-inch nut width, which is the ideal spacing for the fingerpicking style used on this type of guitar. The guitar has a gorgeous, natural matte finish. Playability and Tone - The CG122MS is quite comfortable for fingerpickers to play because of its full nut width and well-shaped neck. The guitar has a compensated saddle, which gives it a rich tone with resonant lows and clear, bright highs, and it scores high marks from guitarists for its ability to stay in tune. Guitarists who love the jingle of folk music will want to take a close look at Yamaha's FG820-12 folk acoustic twelve-string guitar. The FG820-12 is recommended by Dawsons Music as an excellent first guitar for musicians who are interested in learning to play a twelve string. You can get one of these guitars for about $330. Construction and Appearance - This non-cutaway dreadnought guitar has a solid spruce top and mahogany back and sides. It features a scalloped bracing system which enhances its sound. The neck of the FG820-12 is made of nato, and it has a rosewood fingerboard and a natural gloss finish. Playability and Tone - Thanks to its scalloped bracing and the superb tonewoods used in its construction, the FG820-12 is sturdy and easy to play. It has a warm, ringing sound that complements folk music with a clarity and responsiveness that really shines in the low to medium ranges. If you're in the market for a good quality, budget electric guitar, you'll want to check out Yamaha's Pacifica series. Guitar Adventures gives these guitars high marks, ranking them alongside the Fender Squier series for offering good value for their price point. Guitar Fella includes the Yamaha PAC112V in his list of the best electric guitars for beginners. This guitar will cost you around $300. Construction and Appearance - The PAC112V is a great electric guitar, whether for beginners or more advanced players who would like to purchase a less pricey model. The guitar has a solid alder body with a maple neck and a rosewood fingerboard. It features a vintage tremolo, Alnico-V pickups, and a five-position switch with a coil tap. The PAC112V looks great, too, and is available in a variety of stunning colors including red raspberry and old violin sunburst. Playability and Tone - With Alnico-V pickups consisting of two single coils and a humbucker, the PAC112V handles distortion well and will give you a wide range of sonic possibilities. The guitar has a clear, punchy tone that offers a great deal of versatility, no matter what genre you like to play. The guitar is solidly built and gives a strong impression of quality while you're playing it. Guitarists searching for a higher-end electric model will find much to love about Yamaha's Revstar series. Yamaha launched the series in 2015 to celebrate fifty years of manufacturing guitars. The Revstars are stellar quality instruments, and to design them, Yamaha solicited input from professional musicians. You can purchase a Revstar RS502T for about $670. Construction and Appearance - To design the Revstar RS502T, Yamaha drew inspiration from the unique look of vintage motorcycles. The RS502T has a solid mahogany body, a maple top, a mahogany neck, and a rosewood fingerboard. A floating aluminum tailpiece gives the guitar added vintage flair. Onboard electronics include two single coil P-90 pickups and a push and pull dry switch. Playability and Tone - The RS502T has a distinctive ring and offers a broad sonic palette. The P-90 pickups on the Revstar RS502T deliver the clarity of single-coil pickups along with the depth of a humbucking pickup. The dry switch can be used to add extra punch to your solos in a mix. Like the racer motorcycles that inspired its design, this guitar is built to conform to a musician's body, making it extra comfortable to play. Experienced musicians who don't mind shelling out a high price for a top-notch electric guitar will want to check into the Yamaha SBG1820. You can order one of these instruments online for around $2,700. Handcrafted in Japan, the SBG guitars are updated versions of the legendary SG guitars that were made famous by Carlos Santana. Construction and Appearance - The SBG1820 has a solid mahogany body with a maple top and a rosewood fingerboard. Each of these guitars is handcrafted using Initial Response Acceleration Technology, which releases any stress between the tonewoods and the finish, resulting in improved acoustics and greater sustain. The SBG1820 is equipped with Seymour Duncan '59 humbucking pickups. Playability and Tone - You'll find the SBG1820 a delight to play, since Yamaha luthiers focus a great deal on ergonomics in constructing each individual instrument for optimum balance and comfort. The high end construction and the custom shop parts used on these guitars give an exquisitely balanced vintage tone with a great deal of depth and power. Over the years, Yamaha has earned a solid reputation for making high quality musical instruments, and their guitars are no exception. Regardless of your preferred genre, your skill level, or your budget, chances are excellent that you'll find a Yamaha guitar that's just right for you.